I am a fourth generation intuitive and a healer. My mother, my twin grandmothers and my great grandmother were herbalists, healers and intuitives. People from the whole village came to seek their help and advice. I grew up with their stories about divine light beings, herbs and nature remedies; tales about God, Angels, Spirits and Guides. 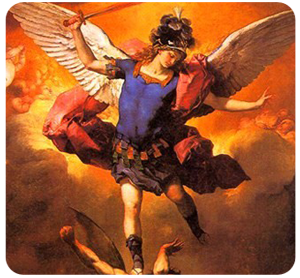 I was four years old when saw for a first time Archangel Michael. At that time I was terrified by the dark, afraid to fall asleep alone. One night I woke up because of the bright light in my room. I opened my eyes and right there, siting on my bed, I saw a large white being. He smiled at me and said: “My name is Michael. I am an Angel and God sent me to protect you so you don’t afraid of the dark anymore. I will always be with you, you will never be alone.” I slept like a baby that night and always remember the powerful angel who is with me day and night. 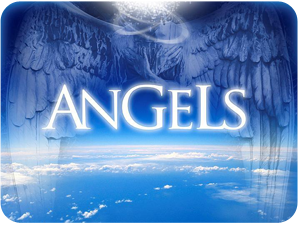 Knowing, feeling, seeing and hearing the Angels is something normal for me, part of my everyday life. For years I thought that everybody sees and hears them, feels their loving support. Since an early age I’ve known that I have a special mission, that I need to focus on service and that one day I will share my knowledge with many others. Thanks to the daily practice of Kundalini yoga, meditation and prayer I feel every day as a new day. I wake up with the intention to do the best I can and I go to sleep with the happy heart that I did my very best. I am claircognizent, clairvoyant, clairsentient, and clairaudient. I work closely with Archangels Michael, Raphael, Metratron, Gabriel, Jophiel, Raziel, Raguel, Ariel, Azrael, Sandalphon, Jesus, Yogi Bhajan, Guru Ram Das, Mother Mary, Quan Yin, Isis and Pele. Atlantis and Lemuria, Sound Healing and Crystals are among my passions. I enjoy very much playing my Angelic harp, invoking the healing angels to help you open your heart and heal on a deep cellular level. Reading people’s energy is very easy for me. I admire honest and genuine people. May be that’s why one of the key points in my life was when I met my teacher Dr. Doreen Virtue. A true Angel on Earth, this extraordinary woman is real inspiration for me. It’s hard to find a spiritual teacher that is so humble, happy, compassionate, knowledgeable and giving. My training to become an Angel Therapist (ATP) in Kona, Hawaii, was a magical experience. 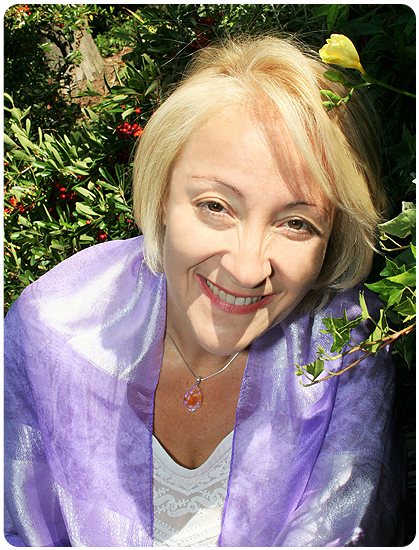 The techniques I learned from Doreen healed me after a devastating car accident and a misdiagnosis with breast cancer, the angels also helped me realize that I need to use my gifts to heal others. “The word Angel means “messenger.” Angels bring messages from the Divine Mind of our Creator. They’re gifts to us from God, sent to help us remember our Divine nature, to be loving and kind, to discover and polish our talents for the betterment of the world, and to keep us out of harm’s way before our time. They also guide us in the areas of relationships, health, career, and even finances. Your angels are with you and help lead you to God’s plan of harmony. They help calm you, because one person at a time leads to a world of peaceful people, which equates to a world of peace. That’s way your angels desire to assist you in any way that will lead you to serenity. You aren’t bothering them or wasting their time if you ask “small” favors. They know that minor irritants often add up to major stress, so it’s their great pleasure to help you with anything that stands in your way. “My family and I are so glad to meet Nelly at Asia Yoga Conference 2014 in Hong Kong. During the lectures, I not only learned about different angels, angel cards, but also some wonderful Kundalini yoga. I had lots of fun (even dancing on the stage)!! Until now, I can’t believe I experienced angel lights and flower scents from angels. My intuition has become stronger. Most of all, I gain more confidence in all aspects. It’s a fantastic and unforgettable experiences. I am very looking forward to seeing Nelly again in the near future. Don’t miss out! It’s a must try. Wish you all joy and free.” K.S. 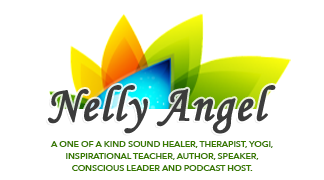 “I love having angel readings and healing sessions with Nelly! I always leave feeling loved, inspired, re-energised and encouraged.” K.R. Dear Nelly,I want to say thank you very much. I was so lucky to join your workshop. It haven’t joined asia yoga conference before and never thought of joining it. I just searched about mantra chanting on internet and occasionally discovered AYC website and curiously clicked into it. Then discovered there would be angel workshops offered by you. I was very surprised and my heart was beating super fast, because I have been hoping to learn angel healing course for a long time and I have been waiting for a chance. So I felt I am guided to discover your workshop. I felt very happy and grateful. I am very touched by your sincere openness to all students to share what you know and talking with us. Your emails touched me very much because you are so kind to share all your music, notes, book recommendations and sharing your contacts with us to keep in touch. I feel it is very rare and very little teachers will do it. You are bringing so much love to all your students. Thank you very much for your kindness and love! Thank you for giving me Japanese Angel cards. It is a wonderful present to me. I learnt Japanese nearly 20 years ago and I love Japanese very much. I will practice the angel card daily. I really want to express gratitude to you. I remember when you taught us the four hand movements in the aura workshop. When you played the Evenstar music, I could not stop crying while I was doing the movements. I don’t know why I felt familiar and sad. So I just did the movements with many tears and runny nose. The music is very healing. Thank you very much. Besides, it was my first time to dance. Recently I love listening Indian mantras and don’t know why always feeling want to dance while listening mantras. But I have never danced even once before. So I felt very happy and contented I could dance with you and other friends on stage. It was a very wonderful experience. After the past life workshop on Sunday, I felt too disappointed to myself and felt frustrated that I could not able to do all the things. I sat on the sofa in the open area outside the hall, listening to the music Evenstar and praying. After praying, I saw a big word “OFF” showing in my mind. Then I saw a sentence showing in the Evenstar youtube “This was my choice”. I quickly had a feeling that it was my choice to turn off my ability in the past. I am not sure if I interpreted it right. It made me remembering I had a dream several months ago. In the dream, I saw “a cluster of light” appeared in front of me. My eye closed. “The light” started to use its finger to write something on my forehead. Then I heard a male voice in Japanese : It will be sealed continuously. Then I woke up but did not felt scary. I always see many lovely signs in daily life. And sometimes I have dreams of angels unicorns pegasus Kwan Yin these several years. So I know they are always be with me and supporting me. I hope I can join your workshops in the future again. If you come next year, I surely will join it. You become an important teacher in my life. I learnt a lot (although cannot able to do successfully yet). I am much honored to know you and be in the group these days. It is a great pleasure taking your class this afternoon, it helped me connect to something deeper inside me, very powerful! Thank you for coming to Hong Kong, please come again, Hong Kong needs you!” B.T. I am so happy that could attend your workshops these days. You are a wonderful teacher with kindness and sincere open heart to students. Thank u for the photos I saw on your page. ” V.
It’s so delightful to hear from you because I was just thinking about you. I’m uploading your Dolphin CD onto my iMac now that I’m back in Shanghai and you were floating around in my head and then your email came through. Awesome! Thank you so much, Nelly. As I stepped out of your hotel, an eagle was flying and circling in front to greet me… wondering if it’s the sign of angle greeting me 🙂 Feeling the tingling sensations throughout my body from your powerful healing. “Thank you, Nelly for the wonderful reading this afternoon. I appreciate that you are able to connect quickly to the matters on my heart.Thank you for the guidance you received for me from the Divine. You are a beautiful person Nelly with a gentle and caring soul.